Protect your family or clientele with quality barrier solutions from Kidsafe. There’s no better way to survive the unforgiving Melbourne summer than by relaxing in your own backyard pool. When it comes to water safety, it’s imperative that you implement a quality solution that will ensure everyone enjoys their time by the pool. We are an established Melbourne business with many years of experience providing premium fencing solutions throughout the city. We are able to advise you on the best barrier solution for your residence or commercial premises. With elegant barrier solutions in a diverse range of designs, there really is no reason not to keep your family safe with a protective barrier around your swimming area. 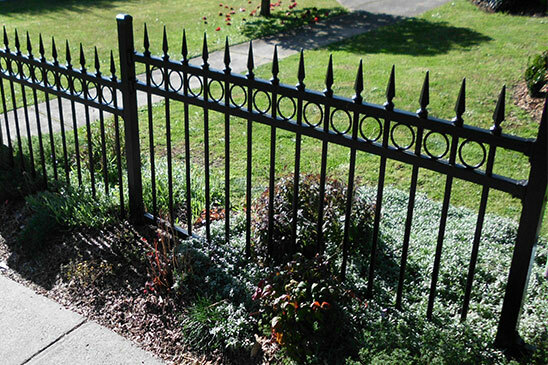 We strive to source fencing that is both functional and aesthetically pleasing. We offer a wide range of designs that will integrate seamlessly with your existing outdoor living space. With a broad colour palette and designs which include hi-lo spear, Palermo, box top, flat top and loop & spear models, there is a fencing solutions to suit every Burwood home and business. All of our products are manufactured in line with Australian regulatory standards and come with a guarantee. Our professionally installed barriers will act as a stylish form of poolside safety for many years to come. In order for our barriers to remain safe and effective, regular servicing is needed. Because of this, we offer extensive after sales services and are more than happy to come out to your property to ensure everything is in good working order. If you would like more information on the extensive range of services we offer in Burwood, please don’t hesitate to get in touch with us on 0419 554 941. By choosing Kidsafe Pool Fencing you can feel assured that your safety fencing and barrier needs will be met with dependable service, at an affordable price and in a style that will reflect your domestic or commercial requirements..